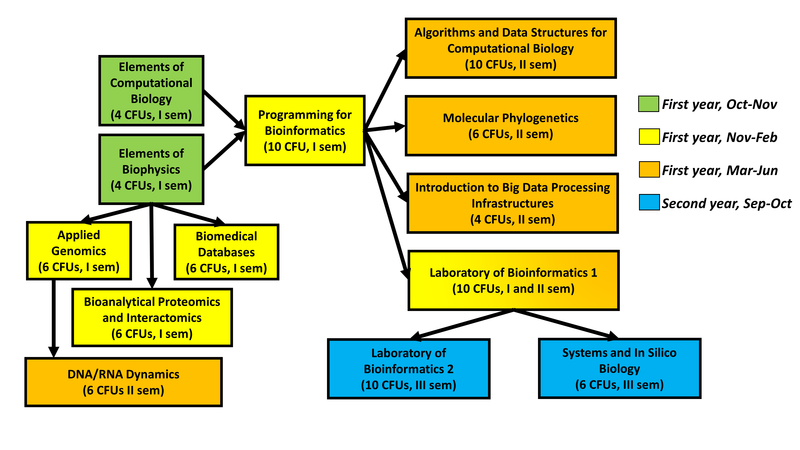 Propaedeuticity for all the exams that qualify the student as a bioinformatician. The above schema of propedeuticities will ensure that the preparation of the students is guided step by step through all the notions of mathematics, statistics, probability theory, programming and algorithm development that are required by an international expert in the field. 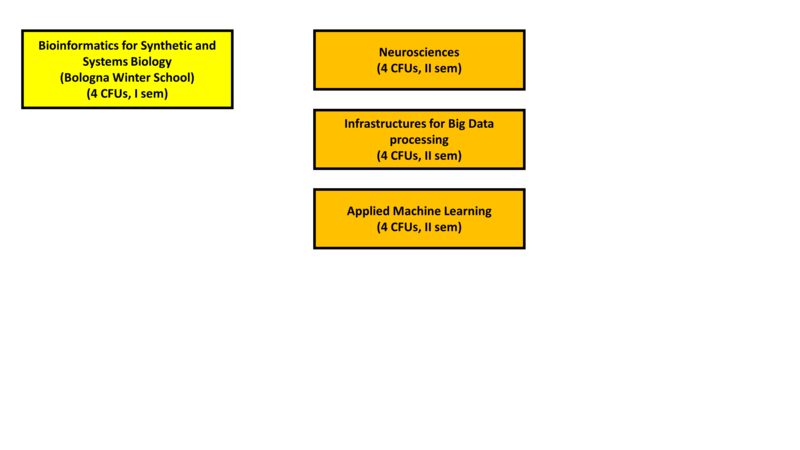 The scheme indicates which course exams are propedeutical to others in the general workplan of the Bologna International Master Degree in Bioinformatics.